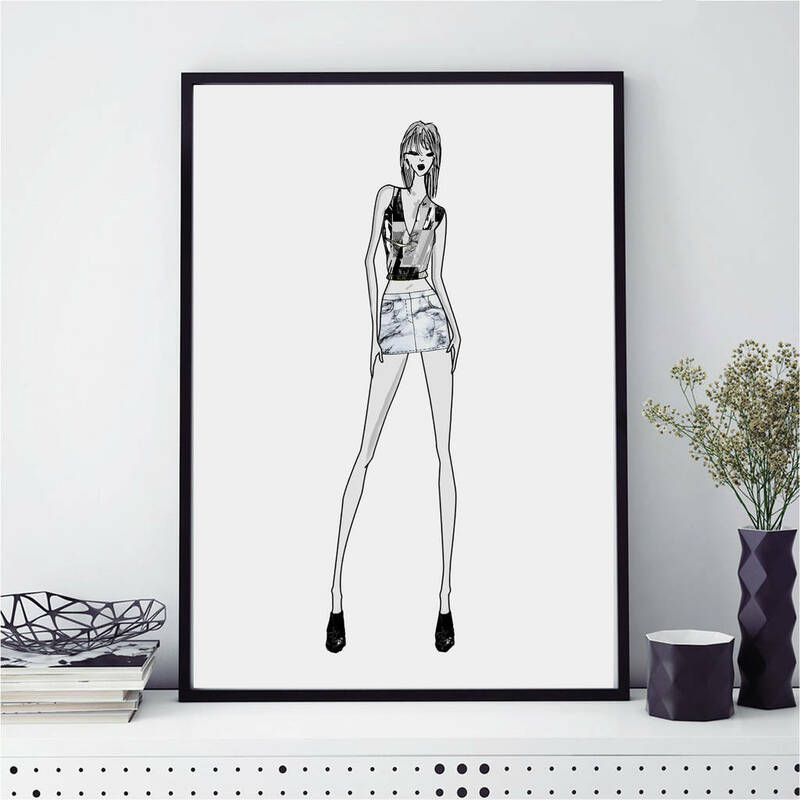 Fashion Jane Illustrated Wall Art.These prints are perfect for creating those much desired wall galleries or adds a pretty addition to any room. 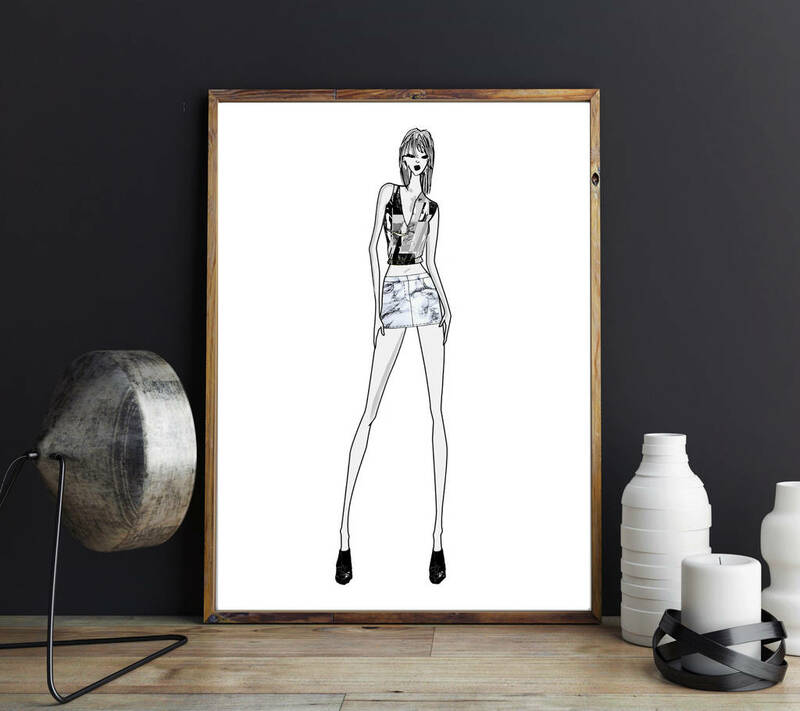 This fashion illustartion wall art print makes a lovely gift for a loved one. 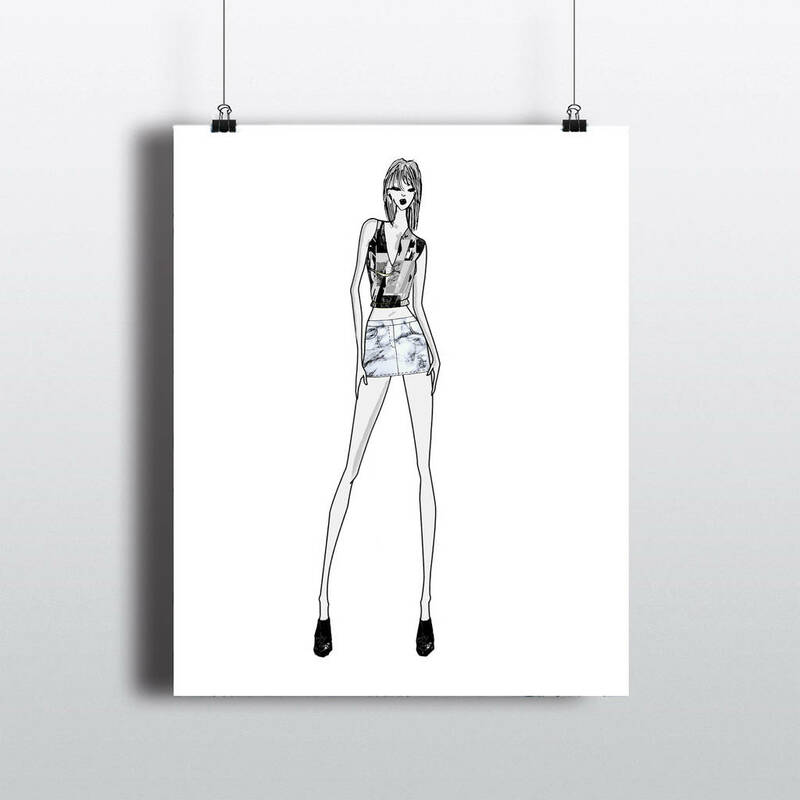 A4 in size and printed on 220gsm quality white textured canvas paper. Lovingly packed in a sealed celophane sleeve and sent in a hard backed envelope. Requested personalised quotes and sizes are available. Just get in touch. 220gsm quality white textured canvas paper.